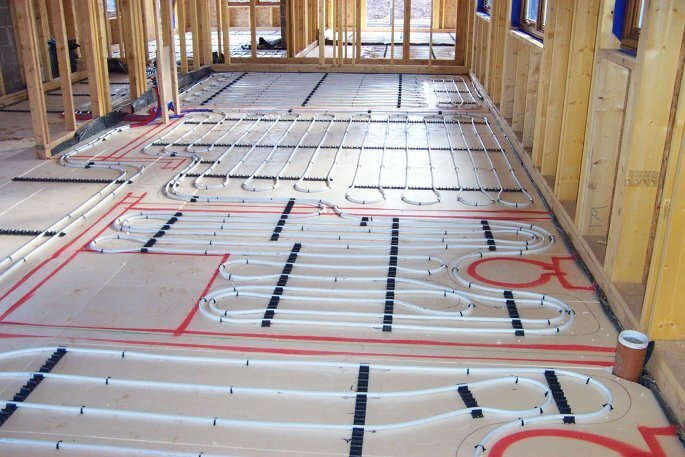 A very good illustration of how the Litherlands marked up their wall partitions, fixtures and fittings prior to installation of the underfloor heating pipes. Note the square in the corner of the nearest room marking the position of a shower tray. Had this been a 'wet floor' the underfloor heating pipes would have continued into this space as well, giving a warm shower floor area to walk into.